This week I was reminded vividly of that question from Romans 8:35, for as I logged on to my daily newsgathering site, I came across a video link that chilled me to the core: Tunisian Muslims beheading a Christian convert from Islam. 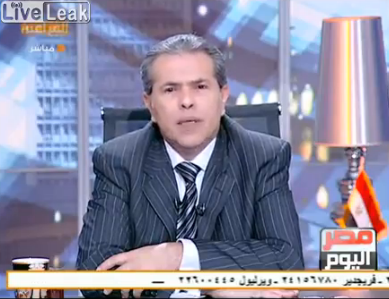 The video aired on “Egypt Today” and showed a masked Muslim slicing off the head of a young man who had refused to renounce his Christian faith and return to Islam. “No, despite all these things, overwhelming victory is ours through Christ, who loves us. And I am convinced that nothing can ever separate us from God’s love. Neither death nor life, neither angels nor demons, neither our fears for today nor our worries for tomorrow—not even the powers of hell can separate us from God’s love. It is this kind of understanding of Christ’s love and assurance that seems to be reflected in the face of this young Christian—an expression of serenity, his lips moving in silent prayer—even as the blade is put to his neck. This is not the only recent incident of Christians being persecuted for their faith. Just this week, an Iranian court sentenced to death a pastor, Youcef Naadarkhani, for the crime of apostasy—forsaking Islam to become a Christian. And in Egypt, over 100,000 Coptic Christians have fled the country as a result of growing discrimination, violence, and sometimes, deadly attacks to their homes, churches, and persons. We are hearing and reading reports of numerous incidents around the world of people being persecuted and killed because of their faith in Jesus Christ, especially when they convert to Christianity in largely Muslim or Hindi regions, or in atheistic countries such as China or North Korea. A Google search of “persecutions of Christians today” recently turned up 25,900,000 results—articles, reports, statistics of Christians who have been arrested, beaten, imprisoned, and killed for their Christian faith. Lest we think that religious persecution only happens “in those countries” or “over there,” and could not happen in the U.S., the truth is that there are subtle forms of persecution being carried out in our American society—such as censoring religious expression, discrimination, bullying, hostility, and hatred towards people of various religions, including Christianity. American society has become so secularized and is in such a moral decline, that expressing one’s views based on biblical principles will increasingly bring a backlash of ridicule, abuse, isolation, or retaliation—whether one is in the field of education, sports, politics, entertainment, business, or other areas of life. In some cases that backlash will be aimed at hurting the offender financially—in denial of promotion, loss of job, blacklisting in one’s industry or career, or in the boycotting of one’s business. How willing are we to stand firm in our commitment to Jesus Christ in the face of such hostility and persecution? Are we willing to hold true to our Christian values even if it means that our job, career, business, or livelihood would suffer? And would we, like the young Tunisian Christian, be willing to die for our Christian faith? May we be strengthened and protected in our walk and witness for Jesus Christ, whose name we bear. And may we always remember to pray for the brothers and sisters in the faith who are being persecuted daily around the world. Grace, peace, joy, and love to you in the name of our risen Lord. 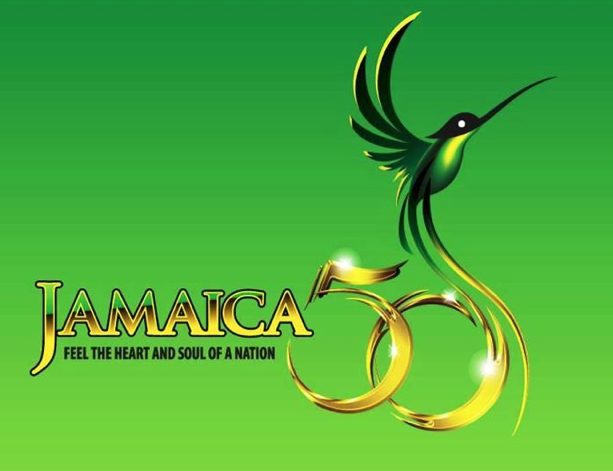 On August 6, Jamaica celebrated fifty years of independence from Britain. As one of the more than 1.5 million Jamaicans and our descendants living outside of the island, I join them in wishing our 2.7 million fellow Jamaicans at home a joyous anniversary celebration. In 1962 I participated in the inaugural independence ceremonies in Kingston’s National Stadium, so it is with some sadness that I am unable to be in the island to share in the festivities. Whether we now make our adoptive home in the United States, Canada, England, Europe, Australia or elsewhere around the world, we of the Jamaican Diaspora think fondly of our island and send our best wishes and congratulations to our island nation. We’ve followed the country’s peaks and valleys in politics, economics, culture, sports, and entertainment over the past five decades, and while there are many major challenges facing the people and leaders, they have tended to face circumstances with optimism and hope, as expressed in the common expression “irie” – no worries, every thing is all right. And it is that spirit of “irie” that the nation not only celebrates its independence this week, but also its 2012 Olympic men and women athletes in London. As I watch the 2012 Olympics and cheer on both the American and Jamaican athletes, I’ll be celebrating our independence in spirit and feeling very nostalgic as I remember that night in the National Stadium in 1962. In my nostalgia I’ve been humming two long-forgotten songs from my childhood and teen years—Harry Belafonte’s “Jamaica Farewell” and “Island in the Sun,” both of which bring tears to my eyes and a longing to walk the hills and shores of Jamaica once again. May that be our sincere prayer. Now, please click the following links to hear a new rendition of the national anthem by the Canada-based Jamaican band, Ibadan, and a new musical tribute to Jamaica by Bunny Rugs of one of my favorite bands, Third World. I hope that you’ll enjoy listening to them.